Kukri built to withstand and endure the maximum force and to give out the maximum impact.. The name says it all!! KHHI Max is built to withstand and endure the maximum force and to give out the maximum impact. This Xtreme kukri is the combination of two most successful and advance features of KHHI’s best sellers; the complete fuller version and the protective hand guard full-flat-tang hilt. 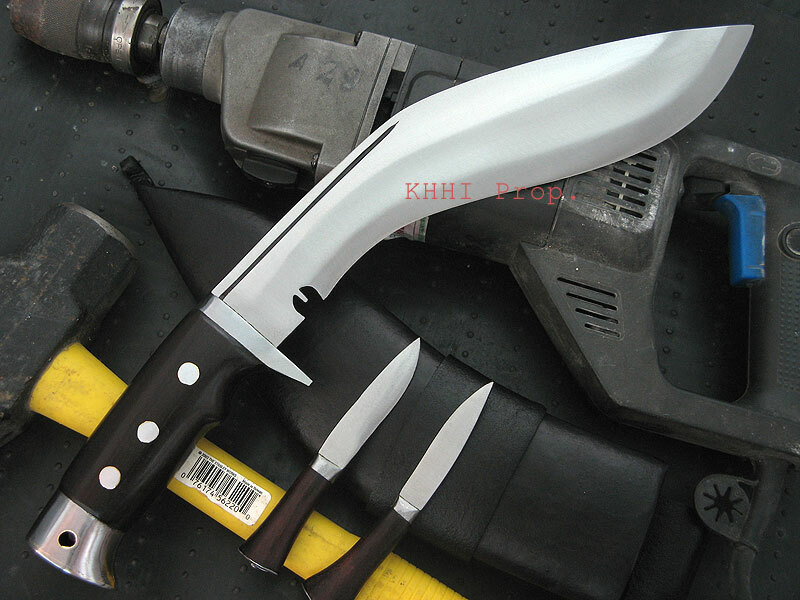 KHHI brings together these two special features in one that will give the maximum thrust which would make the knife an ideal cutting machine and a brutal combat menace. The labor and time put in into making this kukri is tremendous as it is entirely hand done. the blade is a display of true craftsmanship as it is the hardest to craft. full flat tang with rivets in the handle for maximum strength and effect. small and important work accomplisher. Hi and thank you for reaching out. Everything that I have ordered and received is absolutely up to specification. I am pleased with the craftsmanship of all the items and the customer service from KHHI and Usha has been incredible. All the requests I had were listened to and taken care of. The entire process has been super easy and I'll be ordering from you again in the future. A minor issue that I fixed without any problems was that the cross badge on the frog fell off. Not a big deal. I fixed it by gluing it back together with glue that is much stronger (for metal and leather). And now it's never falling off again. Thank you again for your work and quality and customer service. Please keep up the great work. Surpassed my expectations in every regard! This is the first time I'm ordering from KHHI and I could not be happier with every step of the process and the final product. Everything has exceeded my expectations and I only hope this high standard is maintained! After ordering the KHHI Max, I had regular contact with them and they always responded in a timely manner and took the time to pay attention to any requests I had (for example, I requested that the leather sheath be stitched in the same manner as their Echo and they fulfilled this without hesitation). They listen and pay attention - it comes down to understanding the customer. When I ordered it, I did select quite a few add-ons (actually every add-on except the black chemical coat). 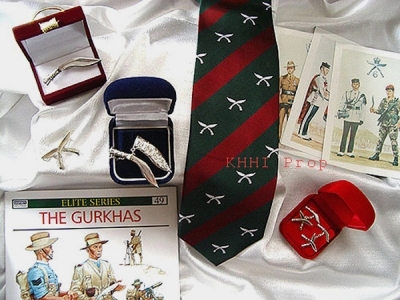 Before the Khukuri was shipped out, KHHI sent me a video of it being used. This was great because I saw that everything in the video was up to spec. The best part is that it took three days for the Khukuri to arrive from Nepal to Las Vegas, where I live. Thank you!